Personalized 2 Line Mission Style Address Plaque - - features a rustic mission-style, wood-look border. 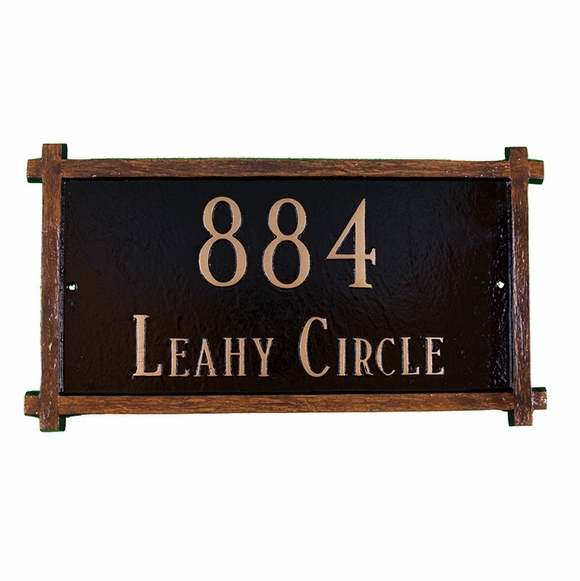 Rectangle address plaque made of rust-free cast aluminum. Made in the USA. Available for wall mount or lawn mount with two optional 24" lawn stakes. Line 2 holds up to seventeen characters (including spaces). Thank you it turned out great!